I sat on a plane on my way to Johannesburg in January of this year. Part of me was so excited to go see my family and work at the school. The other part of me knew I was going to miss my husband terribly. Some where in between these two feelings was an unrest and lots of fear. The last 4 months have been rough, like relentless waves in a storm. We were facing our first “big mountain” as a couple and I was scared. I felt so torn between going to Ladysmith or staying with my hubby in Port Elizabeth. But with his blessing, I left to fulfill my commitment. The tears ran down my cheeks while on the flight (so glad the people next to me fell asleep). I needed to just let go…not be brave. Long story short, the news that followed in the 10 days I was away felt like punches to the stomach. Each blow causing me to lose my breath. I could only imagine how Jeremy was feeling. We would be on the phone (totally silent) just to be there for each other – I had never felt so helpless. I wanted to go home. I wanted to fulfill my commitment, too. Questions followed. Feelings rose up. Guilt overwhelmed me for not being with him. I remember one evening just sitting on the bathroom floor in the flat and crying until I couldn’t any more (and I did the whole ugly cry thing). I tried to be supportive and encouraging to my husband – but how could I? This is where my dad comes into the story. He really helped me get a grip like only a dad can. My dad faces negative circumstances with such peace, faith and unwavering hope. I’m so grateful for a dad that is grounded in God and His Word – no compromise! I’m not usually so wobbly in my faith, but I felt like someone had replaced the ground under my feet with sinking sand. I could only imagine how Jeremy was feeling. I knew I had to sort myself out. Get myself back on track so I could stand in faith with Jeremy. My dad sat me down and took time daily to feed me the Word, encourage me and help me deal with the doubt. I started to feel like I could come home and tackle the issue head on. My dad simply asked me, “What does God say about the situation?”. God reminded me of this: In the beginning of the year, Jeremy and I asked God for a word for us for 2016. The Word God gave the church for 2016 is ‘The just shall live by faith’. God spoke to us and the verse He laid upon our hearts is from Mark 11. Before we ever came up against the situation, God already gave us a word. Nothing takes God by surprise. No attack. No circumstance. Nothing! God had already given us the hope we needed. He gave us the unshakable truth. His truth trumps the reality of what we are facing. His Word changes the situation. Faith isn’t hard or difficult. It is quite simple. God is incapable of doing nothing about the situation. 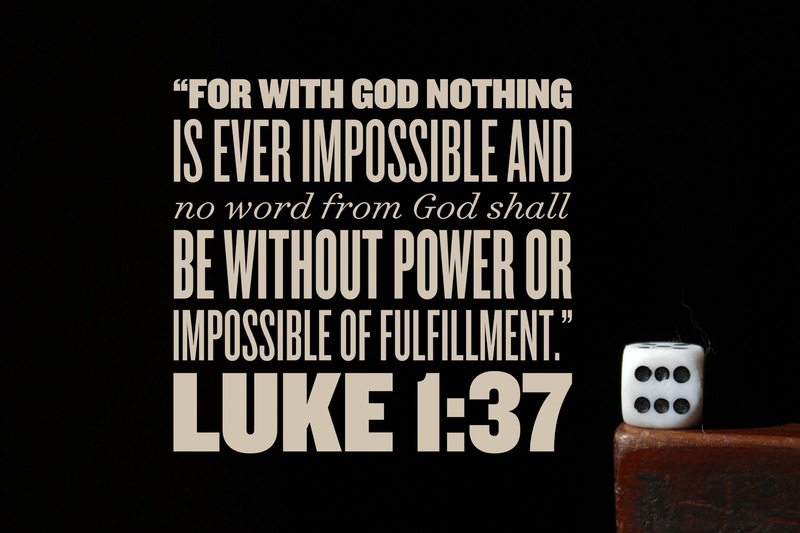 He has already promised that His Word is powerful and will accomplish that which it is sent forth to do. He has already dealt with sin, sickness, poverty, fear and our needs on the cross. His Word tells me the outcome and I am always victorious! He has given me the power to speak His Word, which makes things better, into my situation. I have seen my husband go from being gripped with fear to resting in faith. He has chosen to believe what God has said about the situation. I have seen him feed his faith with the Word and starve the fear and doubt. He has encouraged me just by the unwavering way in which he has allowed God’s Word to be the final authority. You see, you choose to believe or to fear. You choose to speak death or life. You choose to speak about the situation or to speak the Word into that situation. You choose to let fear run rampant or to cast it down. You choose to look at the mountain, sit at the bottom of it and cry or tell it to move and walk in the victory that has been given to you. 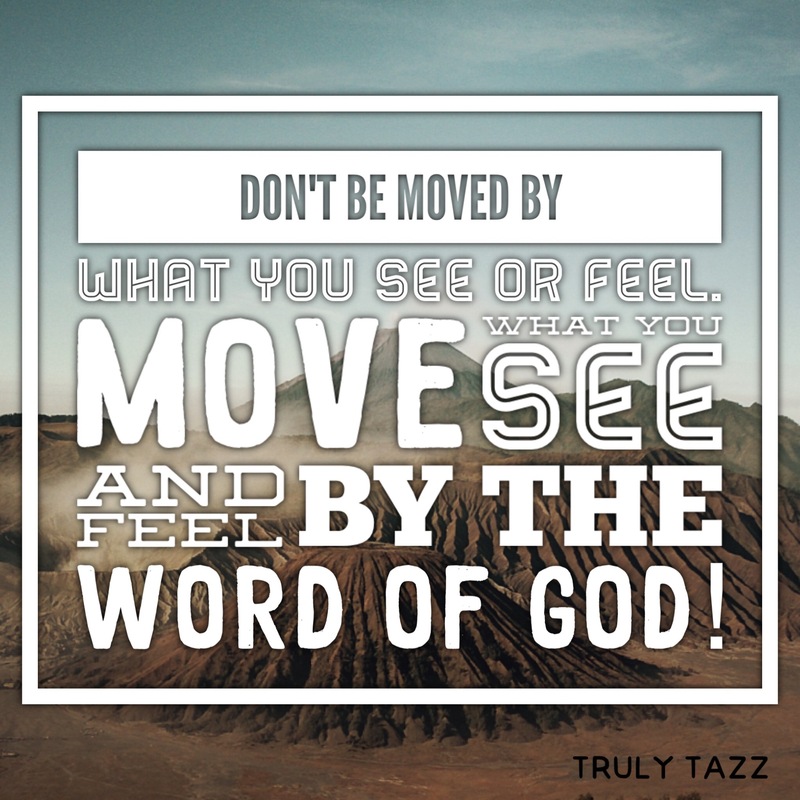 God’s Word is truth. Truth doesn’t change. God doesn’t change. His Word about your situation won’t change. What will you believe? The Word of God brings the peace of God. His peace acts as an umpire, deciding and settling with finality all questions that arise in your mind but you have choose to speak and believe His Word. Be encouraged, any report you receive, any situation you face is NOT final. Let God’s Word be the final authority. Soak yourself in the truth of what His promise is to you. Believe it. Speak to that mountain – because there is only one outcome – it has to move. I look forward to sharing the miracle that is unfolding in our lives with you soon! I woke up this morning and this is the ONLY word god gave me, it is so amazing that when I opened your blog it was the same scripture Mark 11:22-24. Thank you. I also like what you said when you spoke about starving your doubt and fear, I have to do that. Surely my mountain is very different, but a mountain it is. I am SO encouraged….”You will have if you have faith to believe. Blessing my sister. Amen! Keep pressing. The mountain has to move!